Sauna. Snow. Santa Claus. Pure nature. These are the words that usually come to a foreigner's mind when thinking about Finland. 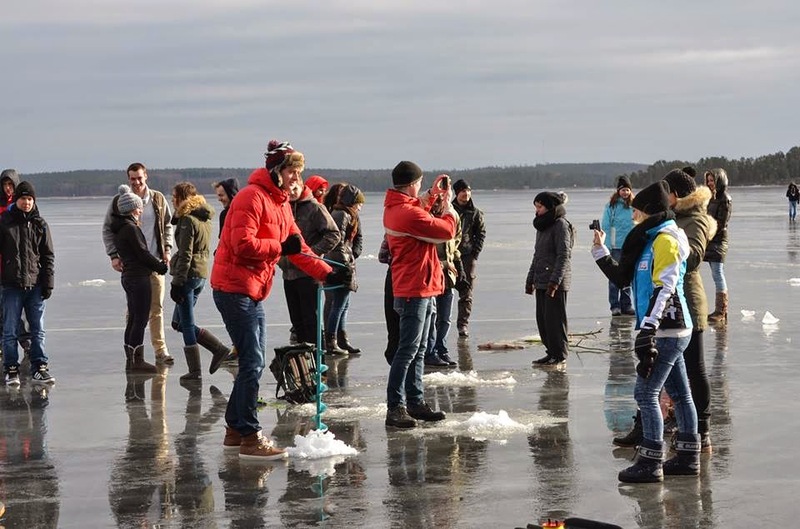 Many foreign students are willing to come to Finland to get some international experience. This year Lahti University of Applied Sciences (LUAS) offered them some information about the recycling business and about a tree’s journey from wood to waste. What does it required to organize an international week, and what could it offer to students and companies? In spring 2014 some teachers and students at Lahti University of Applied Sciences organized an intensive course together with local companies. This was aimed at students who are interested in environmental matters. The theme of the week was “Responsible Business - Life cycle and environmental management”. Altogether 48 students from ten different countries arrived in Lahti to participate in this course. To get a more specific understanding about organizing this kind of week, we interviewed Annika Myllyoja, a student at the University, and Anna Pajari, a lecturer from the Faculty of Business Studies, who both took part in organizing the international week. - The preparations start by deciding a good theme for the week. It has to be interesting for both business studies and environmental engineering students. The theme must also be something in which competence from both fields can be used. After the theme has been chosen, we contact companies that might find it interesting, Anna Pajari says. This year the companies who helped to organize the international week were Isku, Kuusakoski, UPM, Päijät-Hämeen Jätehuolto and Heinolan Latu. The programme of the week was created around a tree’s life cycle because wood is such an important raw material in Finland. - The week started with a visit to UPM's forest, where we went to see logging areas. In addition, UPM staff told us about their jobs and the procurement of wood in general. Heinolan Latu made the programme of the day possible by serving us coffee and tea. 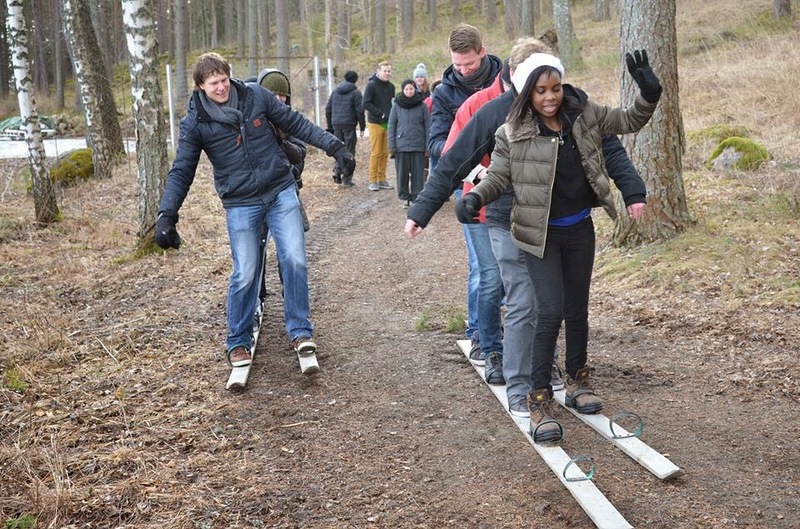 In the forest, we also had some activities and a competition related to nature. Next we went to Isku to get to know the different production stages of wood, and finally we went to Kuusakoski and PHJ to hear about the recycling of wood, Pajari tells. Together with the participating companies, teachers planned a preliminary assignment for students, and the students completed this in national teams before the course started. The best of them were presented to the companies during the international week, so the companies could benefit from the students' output. - Generally, the companies have their own interests when they plan the assignments with teachers. In some previous years, the companies have wanted to do preliminary assignments that differ from each other. They have even said from which country they would like to get students to do the assignment, Pajari mentions. LUAS students had a big role in organizing the international week especially when it came to entertaining and giving guidance to the foreign students. They took part in the programme during the week and also planned some evening activities for the foreign students, for example bowling. But how did the LUAS students benefit from this week? - I was the leader of the organizing team, so I got a lot of experience on how to lead a team. I also had a great chance to get to know students from different cultures, Myllyoja says. As a conclusion, this kind of week and intensive course is very rewarding to all parties. Hopefully the collaboration with companies will continue in the future and students and companies will benefit from it in the best possible way. It’s always more meaningful to do assignments and projects to real companies than to imaginary ones.